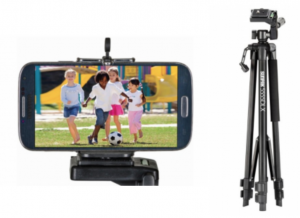 Head over to Best Buy and get the Sunpak – 55″ Tripod for just $9.99! (regularly $39.99) Use this with your phone, GoPro, or camera. Plus, it will ship free! A great stocking stuffer for the video maker in your family!